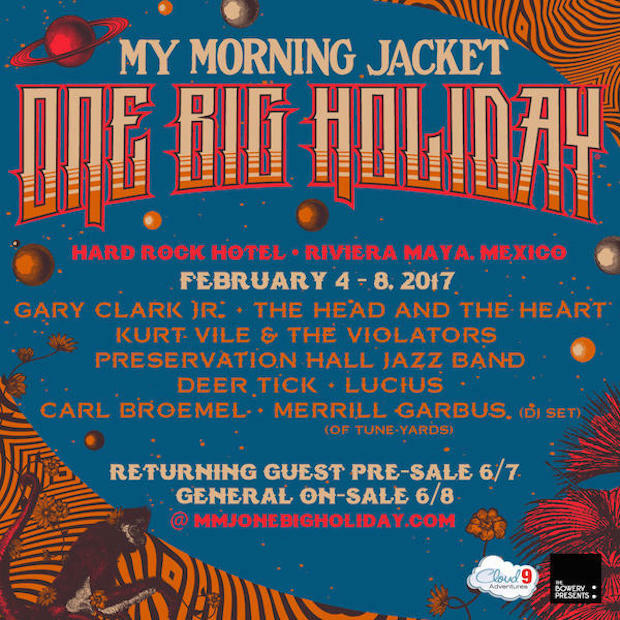 My Morning Jacket’s One Big Holiday Festival Announces 2017 Lineup Featuring Kurt Vile & The Violators, The Head and The Heart And Gary Clark Jr.
My Morning Jacket have announced the third edition of One Big Holiday, a concert vacation held from February 4-8, 2017 at the Hard Rock Hotel in Mexico. 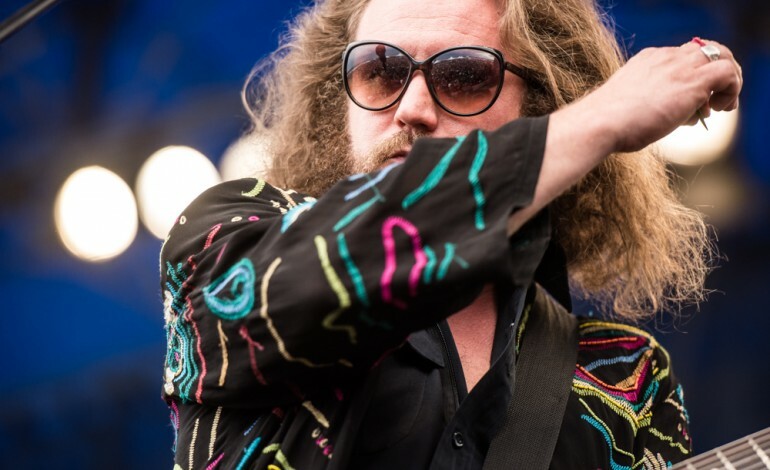 My Morning Jacket will be performing three full shows with a lineup that includes Kurt Vile & the Violators, Merrill Garbus (of Tune-Yards), the Head and the Heart, Deer Tick, Gary Clark, Jr., Preservation Jazz Band, Lucius, and Carl Broemel. This is bound to be a week of fun, especially considering the Baja location. The full schedule for the weekend fiesta includes artist-hosted activities, workshops, poolside games, a Super Bowl viewing party, and more. Pre-sale tickets for returning One Big Holiday attendees starts June 7th at 12 p.m. ET via the One Big Holiday site, while general sale begins June 8th at 12 p.m. ET. Members of My Morning Jacket’s fan club, Roll Call, will be able to opt into the pre-sale by filling out a form between May 24th and May 31st (more info is available on the band’s website).